Why use a PhotoBert CheatSheet? What's NOT on PhotoBert CheatSheet? What do people like about PhotoBert CheatSheets? We don't sell accessories that we don't use ourselves. Click on the image on the right for a sample of what we use. Why use a PhotoBert camera CheatSheet? If you're like most photographers, you like to carry your camera manual with you. But, what good is a confusing 200 page manual when you need to quickly know how to set the White Balance! And your manual will probably be ruined from use before long. PhotoBert CheatSheets are small, concise, durable and easy to understand and they are designed for YOUR camera. 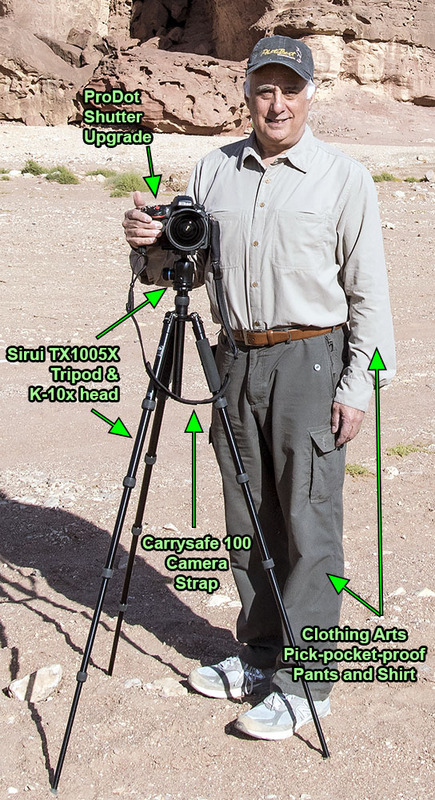 PhotoBert CheatSheets also help you get up to speed on your new equipment quickly. Depending on the CheatSheet - whether it's for a digital camera, flash, film camera, etc. - there is varying information contained on it. CheatSheets typically contain most of the information you'll need when taking pictures - most of what's in the manual is usually on the CheatSheet plus there's tips for using your camera's features. And unlike the manual, PhotoBert CheatSheets are written in easy-to-understand language. First of all, NOTHING is copied from the user manuals! All of the text and graphics is original material written to help you understand the functions of your equipment. Since there is a limited amount of space, we only include the most relevant material. "Bert, GREAT IDEA & PRODUCT - A MUST HAVE FOR PHOTOG'S, Thanks..." KG"
"Cheat sheets well worth the money!" "Super sharp resolution; a big help in field"
"This is the 4th sheet I've bought. Great product!" "These cheatsheets are very handy! thankyou." "Cheat Sheets are extremely useful!" "Absolutely great info on this single sheet, thanks." "GREAT ITEM!!!! FAST Delivery! VERY USEFUL INFO! Thanks!" "NICE!! Great little reference piece. Will order more! Thank you!" "awesome cheatsheet!" "great sheet. great ideas. " "Excellent product - Better in the flesh than description! Excellent Service"
"Superb product - Very high quality. Thank you"
"Great product. What a concept, convenient cheatsheets. Thanks - Bob"
"This is my 4th cheat sheet. Fast shipping. Need I say more?" "great item what a help ot will be, quick shipping, great transaction"
"Good chart, good price, quick delivery!!!!!" "great lil refrence ! thank you"
"These are great items to have with any camera." "Wonderful service and fast delivery. Excellent, convenient products." "Thank you for useful tool and quick shipment!" "Cheat Sheet is a must have!!! " "Excellent product! Filled with useful, but hard to remember info!" "Best cheatsheets I have seen (I have bought others before)"
The following are several sections extracted from several of our CheatSheets. Hopefully it gives you an idea of what kind of information is on a CheatSheet. Most CheatSheets contain a reference of the LCD data. Typically all graphical data is documented on the CheatSheets. CheatSheets contain reference material such as Guide Numbers for Speedlights where appropriate. Custom settings are always documented for equipment that have custom settings and features that may be affected by a custom setting are cross-referenced to the appropriate custom setting(s). Autofocus features are always listed where supported. Image size information is included where appropriate. Digital PhotoCourse on a Card This CheatSheet is a practical, no-nonsense guide to learning the basics of photography. It contains a wealth of information on the subject of Photography presented in an easy to understand manner. There is no easier way to learn the basics! It contains the "basics" you need to understand to move ahead with digital photography. Your Digital Camera Revealed This CheatSheet covers the most common features that almost ALL digital cameras have. It explains the purpose of each feature and when you'd want to use it. Each topic is explained in plain, easy to understand English. If you don't fully understand the features your digital camera has and when to use them, this CheatSheet is what you need. It is the perfect adjunct to our Camera CheatSheets that explains HOW to implement each feature. 17 1/4" x 11 1/4"
Photographer's CheatSheet (v2) This is a one-of-a-kind CheatSheet for all photographers. One side covers exposure basics and one side covers photographic composition. This CheatSheet is appropriate for ALL cameras. It provides information on how to take pictures in difficult exposure situations and night exposures with confidence. One whole side contains "rules of composition" and helpful guidelines that will help you take better pictures. You'll appreciate having this CheatSheet in the field. 4 1/2" x 6 1/4"